For every mile of road there are two miles of ditch. Extremes are exaggerations or over-emphasis of a truth. You can be in error simply by emphasis. Notice the emphasis on the self-assessment is based on sober judgment. To think soberly means to have sound judgment, to be in agreement, to be harmonious, or have the same mind. When your child has fallen short on a task, do you emphasize that failure every day for the rest of his or her life? Of course not, you build them up, focusing on their strengths. It would be unhealthy to constantly remind them of their shortcomings. The same is true for you, if you fall short or make a mistake, don’t rehearse the failure over and over — get over it and move on — change your thinking. The summer before my last year of high school, we moved to our lake house near a small town where I would finish my senior year. Previously I had played football at a school with an excellent coach. He eventually went on to be an assistant coach for the Oklahoma Sooners. That coach lead us to a consistent winning record. However, now I was at a smaller school. At the first team meeting I knew we were in trouble. I looked around the room to see a bunch of sloppy guys. They seemed to drag themselves around, shoulders drooping, with stinky attitudes. Their team talk was all negative. Sure enough, we lost every single game we played that year. It was demoralizing to say the least. That team was defeated before we ever started practicing much less before we played a game. Listen men, we cannot win with a losing strategy. We’re in the game of life and we need to win! The scores we earn have a real effect on us and our attitude matters immensely. Stop talking defeat. Stop discussing your fears, doubts, and unbeliefs. 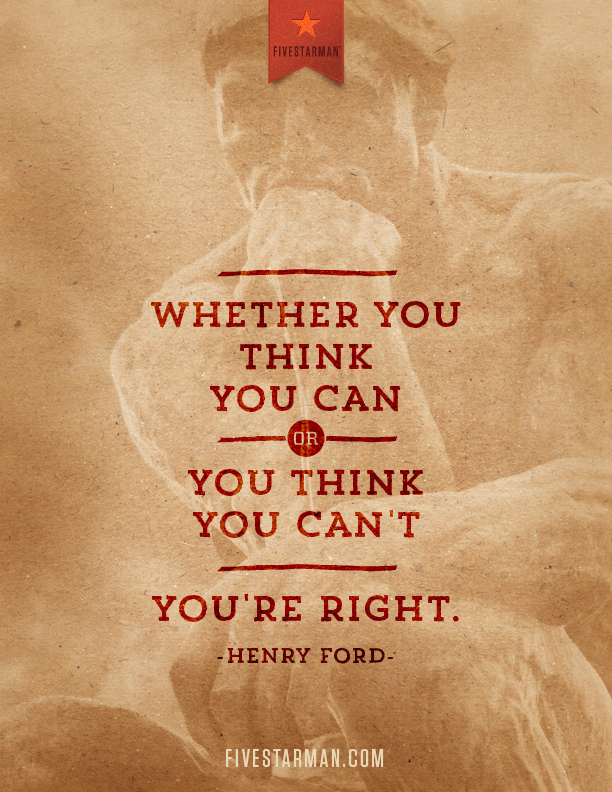 And just as importantly, stop THINKING defeat and doubt.